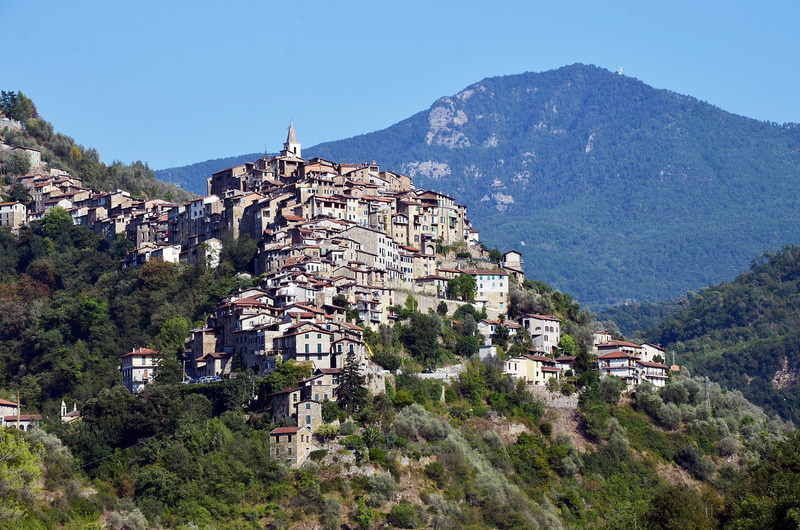 The name Apricale derives from the Latin ‘Apricus’ which means exposed to the sun. 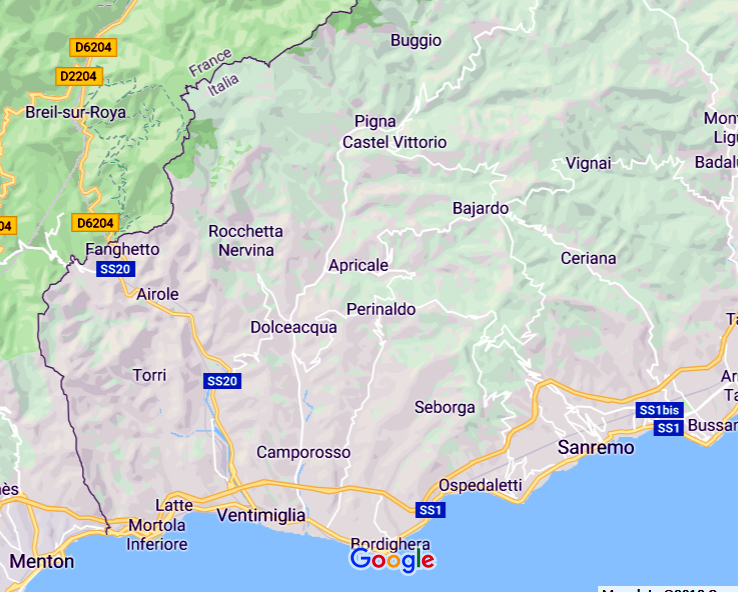 The medieval village of Apricale is situated at 273 meters above sea level in the Nervia Valley in the Province of Liguria. The name Apricale derives from the Latin ‘Apricus’ which means exposed to the sun. But the main characteristic of Apricale, which has enchanted visitors for a long time, is the scenographic aspect of the village. A waterfall of antiquec stone houses on a hill, dominated at the top by its Castle. 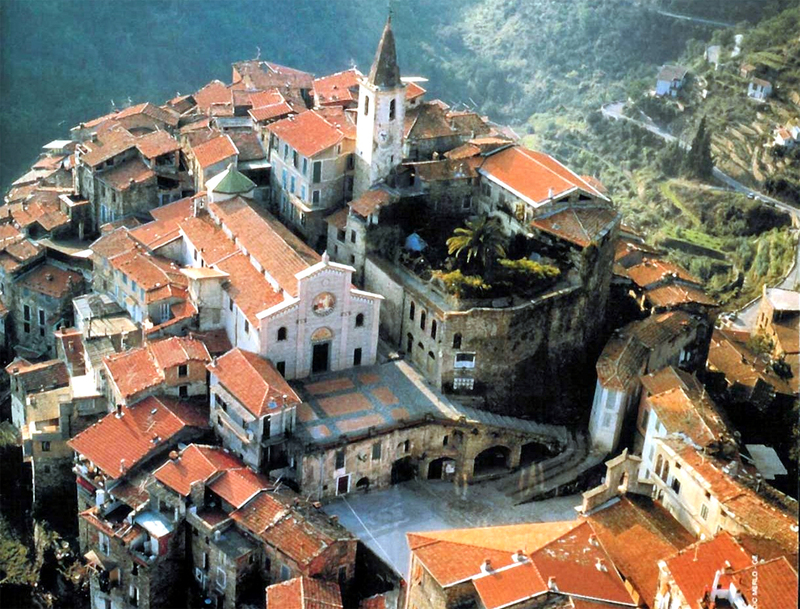 Apricale has about 650 inhabitants and in its glory days more than 2000. There are more people living in the village but a lot of them own second homes and stay here for a few weeks or months during the year. The hills/mountains around us are about 1000/1200 meters high. The little river in the valley comes from Monte Bignone and is called Mandancio. From Apricus we have a view on Perinaldo at about 700 meters above sea level. Perinaldo is famous for its observatory. Giovanni Domenico Cassini lived here in the late 17th century and he was an astrologist who discovered the rings and satellites of the planet Saturn.